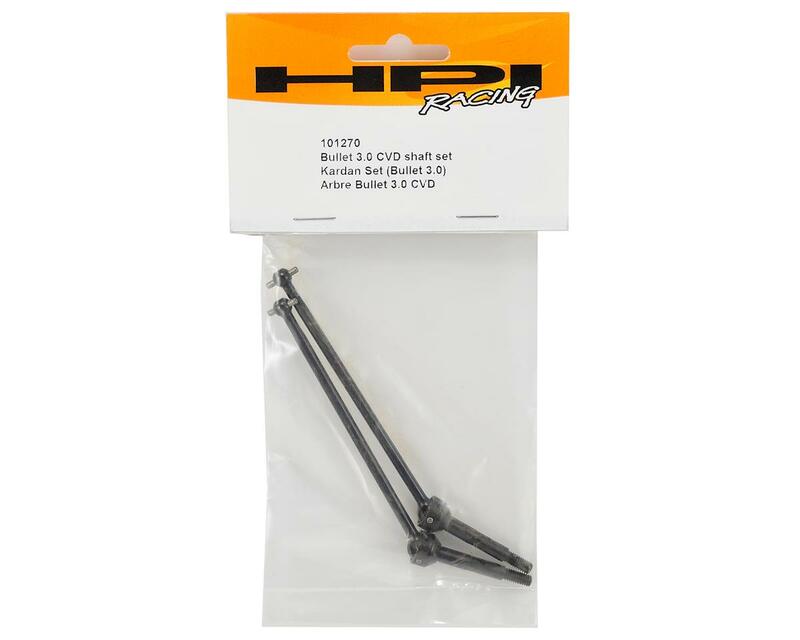 This is an optional HPI CVD Drive Shaft Set, and is intended for use with the HPI Bullet ST and MT trucks. Boost drivetrain efficiency with these CVD's! These will fit on either the front or rear and will improve efficiency, as well as increase the overall durability of the truck. NOTE: These will not fit the center drivetrain. 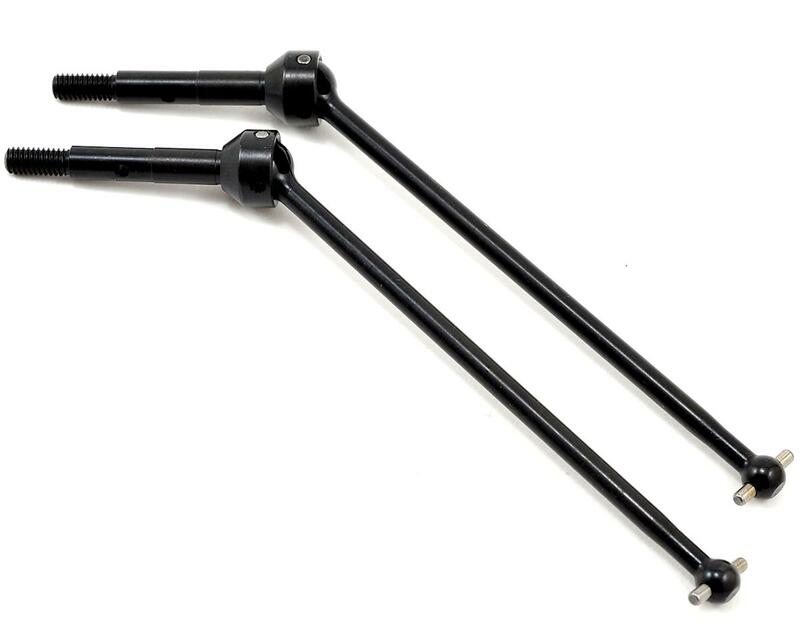 These replace the axles and dog bones used in the front and rear.